The market is segmented by Product (Smartwatch, Head-mounted Display, Smart Clothing, Ear Worn, Fitness Tracker, Body Worn Camera, Exoskeleton, Medical Devices) and Geography. 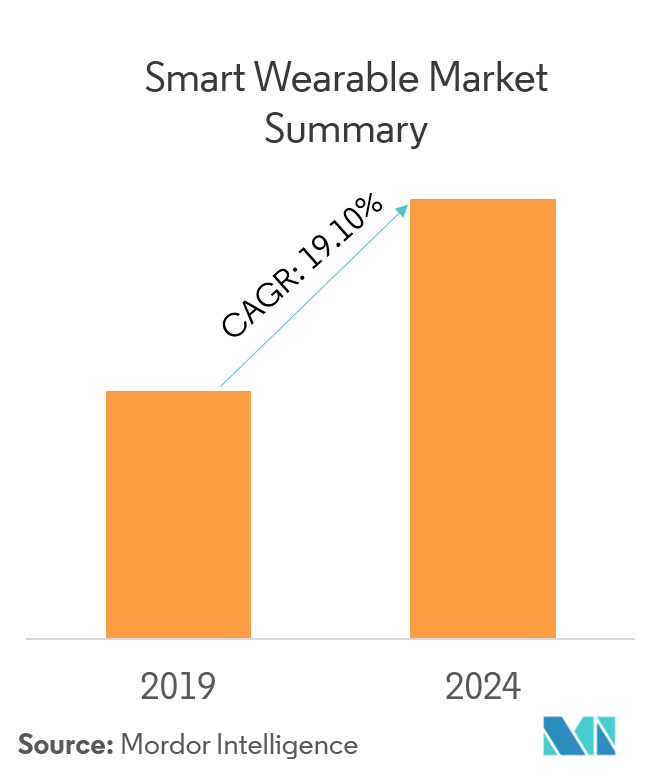 The smart wearable market was valued a sale of 181.51 million units and is anticipated to register a CAGR of 19.38% over the forecast period (2019-2024). Advancements in research have been leading to increased innovation in the recent years and has been instrumental in driving the demand for the wearable market and led to new product categories like the smart fabrics and hearables, among others which incorporate high-end technology and design in daily living. Lately, the focus has been on providing an aesthetic design to devices to attract the customers. Wearables imply wristbands that are launched by companies like Fitbit, Jawbone, Apple, and act as activity trackers, which has gained a significant traction, owing to the boom in the fitness trend across consumers. The smartwatch category is experiencing a rise, owing to additional features, like the brand that suits the everyday lifestyle. Strong brands, such as Apple and Fossil, are keeping the pricing consistent with the price bands of traditional watches, to maintain their revenues. With Google’s WearOS, many other premium watchmakers, such as TAG and Armani, have entered the segment. Hearables are gaining traction with the increasing acceptance of smart assistants. Companies like Bragi, Google, Apple, Jabra, Samsung, and Sony have been actively contributing to the growth of this segment. Wearable technology is an emerging trend that integrates electronics to the daily activities and fits into the changing lifestyles and can be worn on any part of the body. 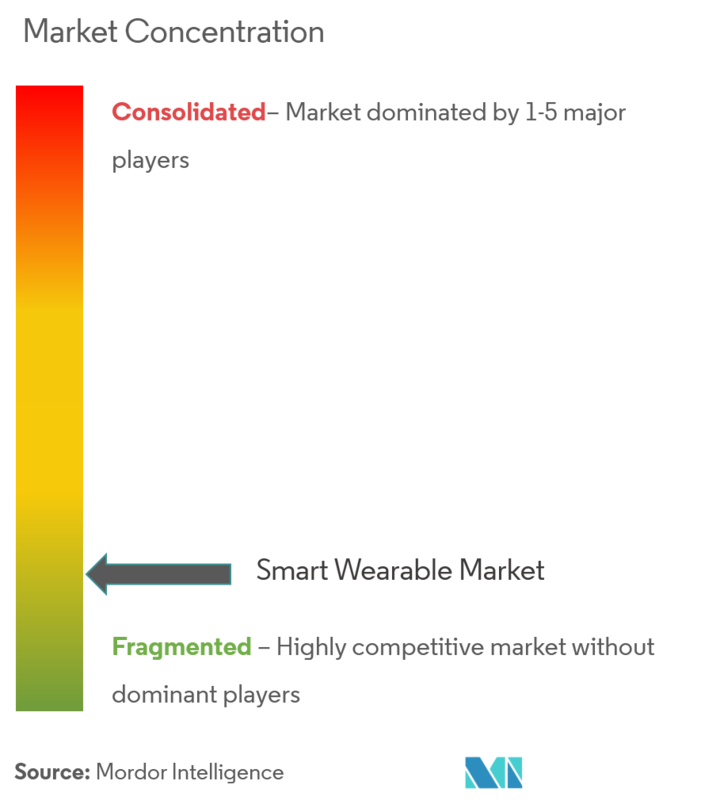 The market is divided based on product type, such as smartwatch, head-mounted display, smart clothing, ear worn, fitness trackers, body worn, camera, exoskeleton, and medical devices. Owing to the increasing penetration rates of urbanization, the demand for aesthetically appealing advanced featured products with the ability to better serve the consumers’ daily requirements, such as time schedules, has driven the market for smartwatches, globally. Moreover, the huge millennial population has been adopting smartwatches, owing to the increased spending for their regular work hours tracking as well as luxury standards. According to the International Council of Shopping Centers (ICSC), millennial expenditure is expected to increase across various major economies. In addition, the ongoing technological advancements by the companies are the primary factors stimulating the growth of smartwatches, as it is a completely technical product that requires constant research and development for differentiated features. 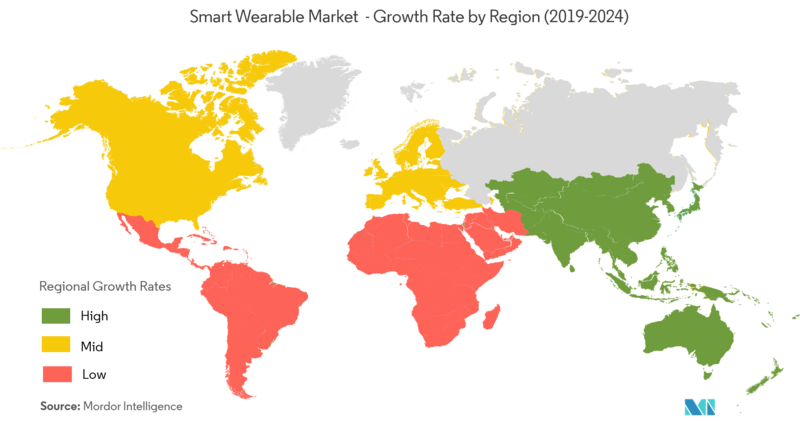 Asia-Pacific is expected to witness the highest growth in the smart wearable market during the forecast period. The growing electronics industry coupled with a rapid rise in the disposable income in the region is driving the smart wearable market. In China, the wearables market has taken on a different shape fuelled partly by the purchases of growing affluent consumers. 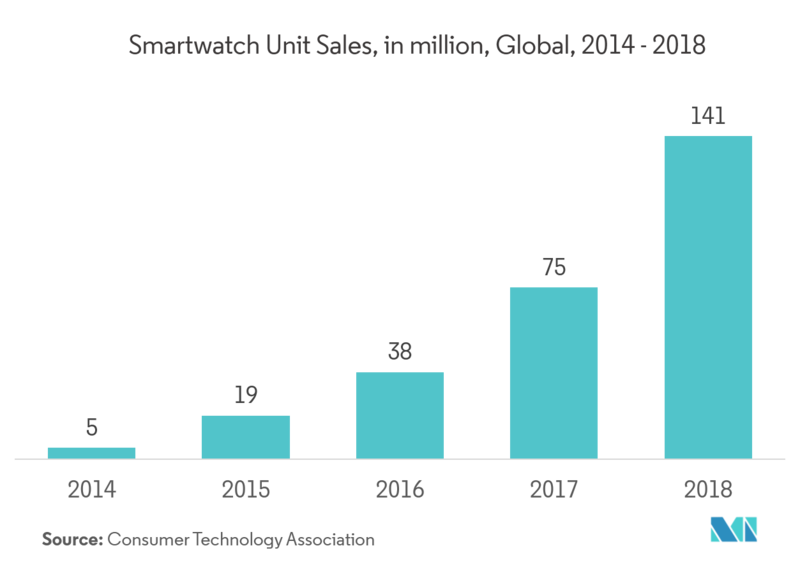 The presences of vendors, such as Xiaomi and Huawei among others add to the growth of the Chinese smart wearables market. Moreover, the demand for fitness trackers in the region is expected to rise, owing to an increase in the population rate, advancement in technology, and stable economic growth. Fitness trackers are widely accepted by Chinese customers, owing to a rise in awareness toward fitness among the people in the country. The smart wearable market is highly competitive. The market has gained a competitive edge in the recent years. Additionally, several efforts are being taken by the players to gain a competitive edge in this fast-growing market, mainly catering to the demand from the millennial generation population. 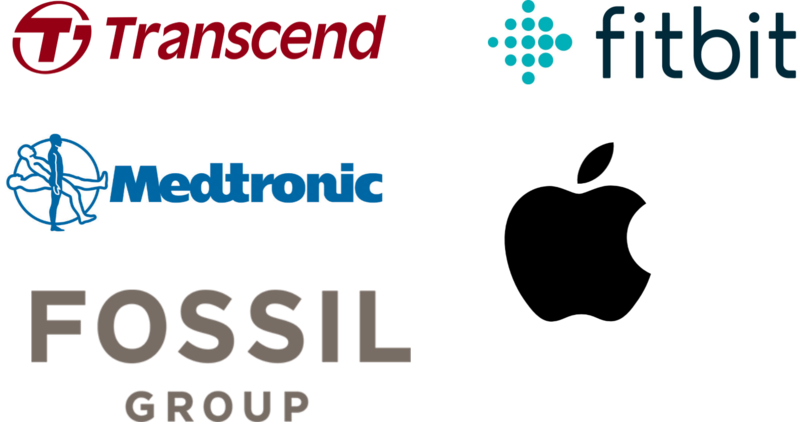 December 2018 - Fossil Group launched seven next-gen touchscreen smartwatches under its six brands for the tech-savvy millennials in India. The seven smartwatches are Fossil Gen 4 Smartwatch Venture HR and Explorist HR for Fossil, Skagen Falster 2 for Skagen, Michael Kors Access Runway for Michael Kors, Emporio Armani Connected for Emporio Armani, A|X Armani Exchange Connected for Armani Exchange and Diesel Full Guard for Diesel. 7.1.15 AIQ Smart Clothing Inc.
7.1.19 Ekso Bionics Holdings Inc.